Announcing big news in your life, is easiest when you can gather all of your family. We have put together a basket that will help you get your loved ones in one place so you can break the big news. 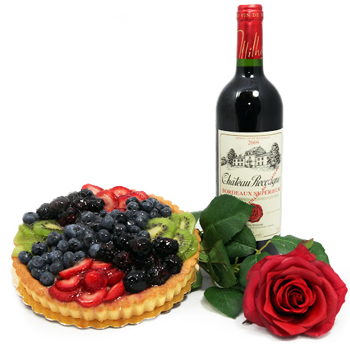 Your recipient will receive a delicious bottle of Red Wine (750ml), tempting Fruit Cake (1kg), and one Rose. Celebrate your engagement, reward yourself for a promotion, or just enjoy your friends with Have Your Cake.